Multimedia sound cards have lately evolved considerably. After 10 years of production of unsophisticated cards on the ISA bus with cheap converters of maximum of 16bit 44kHz, the industry of the mass computer sound started to make up for what they'd lost. It started with the PCI bus. The famous SB Live! could use two stereo channels, thus, providing 3D sound positioning in games and movies. Soon all new multimedia cards supported the 5.1 mode. Now the slogan CD Quality on the boxes is replaced with Dolby Digital. The M-Audio Audiophile and Creative Audigy brought in the 24bit 96kHz format. All expensive multimedia cards support this mode to a certain degree. It might seem that there is nothing more to "attach" except improvement of the 24/96 mode and further price reduction. 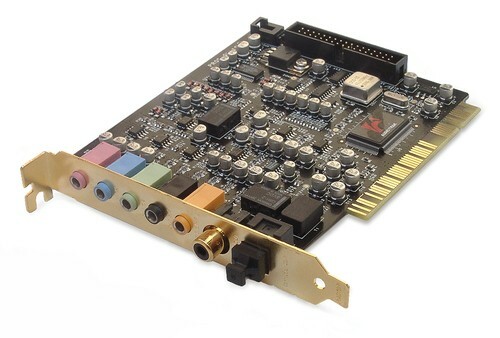 But Audiotrak, a branch establishment of ESI and known for a successful line of semiprofessional sound cards of the Maya series (see the Audiotrak Maya44 review), released a new multimedia solution meant for a home/theatre use. There is a new concept: DTHT - Digital Technology Home Theatre. The new card is called Prodigy192. The card supports a sampling frequency of 192 kHz which is a maximum mode for DVD-Audio discs. Before that the upper positions in the multimedia line of Audiotrak cards belonged to Maya7.1 and Maya7.1GOLD. They support sound in the 7.1 format: standard front channels were supplemented with two more which were to be put between the rear and front speakers. At present, such system has no applications, but it works for future. Support of only up to 16bit 48kHz is a disadvantage of the Maya7.1/7.1 Gold cards. That is why the Prodigy192 is going to make up for it by providing support of all modes up to 24bit 192kHz, though with a standard 5.1 sound. Now let's take a closer look at the card. The plastic connectors (covered with metal inside) have colors according to the PC99 standard: three stereo-outs for 5.1 sound, 1 linear and 1 microphones inputs. There are also digital optical and coaxial outputs. Internal connectors are two: S/PDIF-in for connecting a CD-ROM drive in a digital mode and another one for connecting a daughter card with MIDI connectors and digital inputs/outputs. The card uses high-quality components, similar to those used for professional equipment. The sticker with the Audiotrak's logo hides VIA/ICEnsemble Envy24HT chip which is a new version of the famous chip used for many sound cards - M-Audio Audiophile, Terratec DMX 6fire etc. This new version supports a sampling frequency up to 192 kHz. By the way, the Prodigy192 is the first card on this chip we have tested in our lab; and it's quite surprising that it's positioned for the multimedia market. The Prodigy192 comes with the Sigmatel ST9460 codec which is a new 6-channel solution that outputs sound in the 24/192 mode and samples it in the 24/96 one. DAC and ADC with the SNR >100 dB. The codec of this company makes the card unprofessional. It takes the top position among Sigmatel's products and is meant for consumer audio equipment. 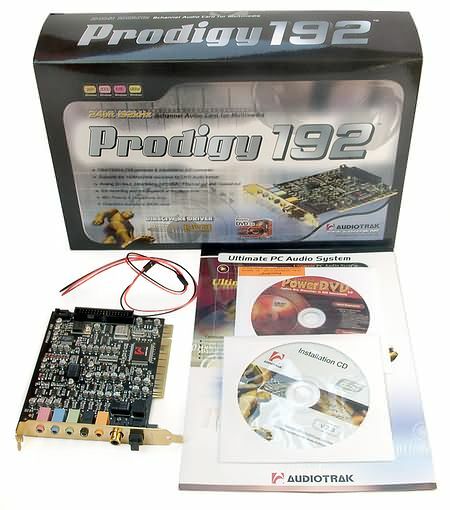 The Audiotrak Prodigy192 uses the same driver model as all Ego-Sys devices - E-WDM. The same suite can be used for Windows 98SE, ME, 2000 and XP. The drivers take just 200 KB against 10MB updates for Audigy. In the tests we used the 3.85 version taken from the Audiotrak's site. Apart from standard MME the drivers also include ASIO 2.0 and GSIF; besides, they support the DirectWire technology typical of all ESI solutions. Installation under the Windows98SE and Windows XP was flawless: 5 virtual devices and a MIDI interface of the Prodigy192 were found. 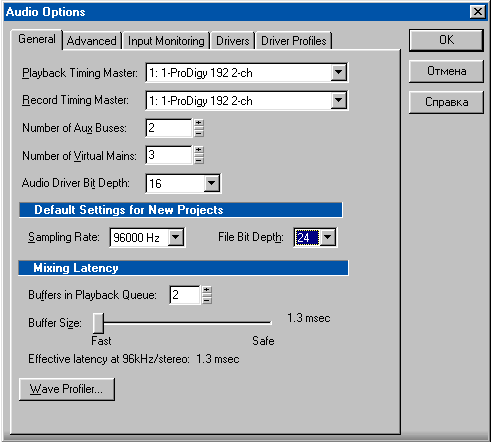 You can choose a reference frequency of the codec and adjust volume levels of the outputs and virtual channels in 1.5dB steps. The recording level can't be changed on the analog-in, but you can alter a level of the mic-in, though the limits are not indicated. When an external card with digital inputs/outputs is connected, it's possible to change settings of the digital channels. It's pleasant that the card supports the DirectWire function usually used in professional ESI/Audiotrak cards - we already touched upon it in the Audiotrak Maya44 review. The DirectWire allows connecting any virtual output with any virtual input before the signal is sent to the codec - thus, the signal is delivered bit-to-bit from one application to another. The picture below shows how one can record a signal from the GigaStudio, an ASIO application and a usual program like WinAmp into a multitrack sequencer like Cakewalk Sonar. The DirectWire can also record WMA files without losses, - as you know, such files can't be converted into other formats a usual way. Multi-MME devices stand for programs like Sonar or PowerDVD which get an access to several inputs/outputs via one shared virtual device. As we found out, neither in Windows'98SE nor in XP the 192kHz mode is supported by standard applications. All programs inform on an error when the MME device is enabled. This is an error of the card's drivers as all other cards supporting 192kHz (e.g. Lynx Two) work in this mode under both OSs without any problems. 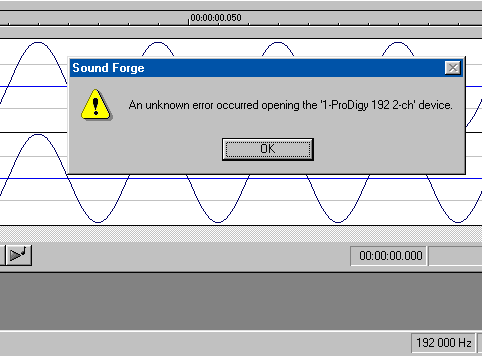 It's unpleasant that the release version of the Prodigy192 doesn't work in its proprietary mode - the developers promise to correct that in the next driver version. But the 192 kHz mode does work in applications using ASIO - Wavelab 4, Nuendo. Note that one can use ASIO and MME applications together with the GigaStudio, which is not allowed by some other cards. 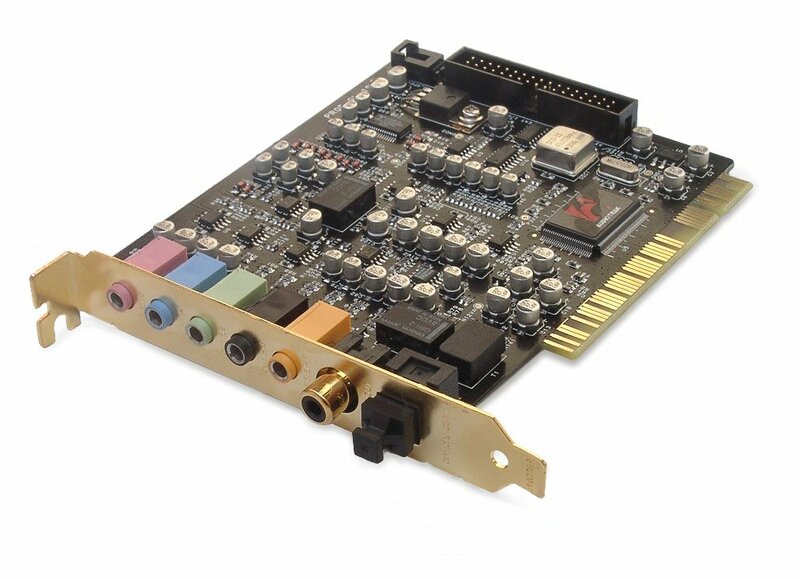 Sigmatel codecs could never boast of high quality before and were always used for cheap sound cards starting from MX300 and YMF724 to Live!5.1. Did Sigmatel manage to improve the quality in its new codec? We compared the Prodigy192 with its closest competitors: Creative Audigy, Terratec DMX 6Fire 2496 and Audiotrak Maya44. The cards were connected to the Behringer Eurorack MX602 mixer; a signal from it was applied to the Event 20/20bas professional monitors and Sennheiser HD600 headphones. The result didn't please us much. 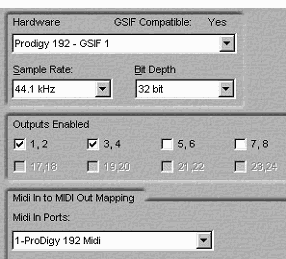 The Prodigy192 sounded like a typical Sigmatel-based product: the sound was constrained, had sharp metallic highs and lacked for minor details. The Audigy in the next slot produced the same. The Terratec DMX 6Fire had a much clearer and richer sound; the Audiotrak Maya44 sounded not that bad but for blurred highs. In general, the Prodigy192 can't do more than it can despite its professional interfaces, - the card remains a pure multimedia solution. We couldn't carry out the direct test of the analog track "input-output" on the Prodigy192: the difference in volume of the input and output signals was too great. That is why we estimated quality of the analog-out with a line-in of the professional Lynx Two card. In the preproduction sample the AFC fell much in the HF range - at 15 kHz it was -0.8 dB. Thanks to the RMAA programs the R&D department of Audiotrak found that flaw and sent us the AFC results obtained with the production sample. The parameters are quite good for a multimedia card: the scores are very high for a distortion level and a dynamic range. In the 24/96 mode the card scores the top marks. The results in the 32/192 mode are a little worse than in the 24/96 one. Well, it's just SD converters of Sigmatel. For the performance of the Creative Audigy and Terratec 6fire in the same conditions see the TerraTec 6fire DMX vs. Creative Audigy Platinum eX. Quality of the line-in was estimated subjectively: we attached an external synthesizer Novation A-Station to the card. The sound sampled by the card was very powerful and clear - at the expense of sharp highs the electronic sound of the A-Station was of top quality. 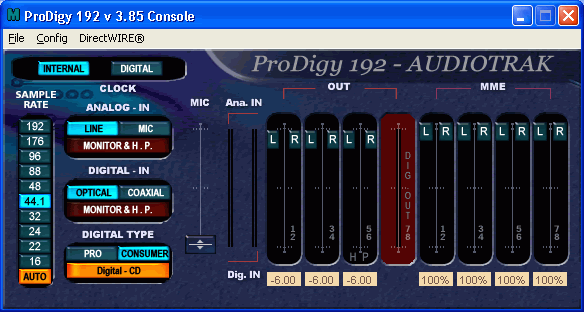 In general, the line-in of the Prodigy192 can be successfully used for sampling sound from external sources. The mic-in was tested with the help of a dynamic microphone Behringer UltraVoice XM2000S. The sound is not constrained, it's quite lively and discernible. At the same time it makes more noise than the SB Live! 's input though the latter is much more compressed: -75dB against -65dB of the Prodigy192. The GigaStudio easily recognized the card and offered all 4 stereo-outs. At a low latency (128 samples, or 3mc) and a great number of synthesizer channels the CPU's load didn't exceed 40%. The Cakewalk Sonar XL 2.0 identified the card without problems and set the latency to 2.6 ms for the 16/44 mode which is an excellent result. In the 24/96 mode the card set the latency to just 1.3 ms! Monitoring of the input signals worked without visible delays. We laid several effects upon the microphone, all worked perfectly. 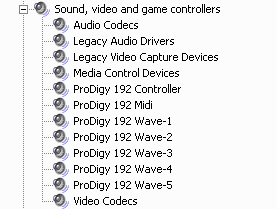 Each effect changed without any delays - as if you use a hardware effect instead of a program. 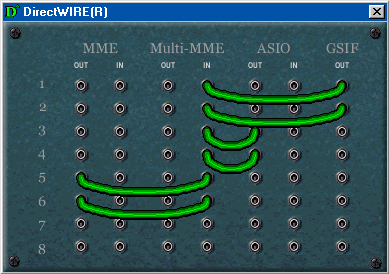 Operation of the card in the Cubase SX and Nuendo under the WinXP was flawless as well. Besides, the Nuendo offered the 24bit/192kHz mode. The drivers of the card proved to be irreproachable but for the 192 kHz mode which failed to work in Windows applications. As the card is not meant for games and positioned only for movies, let's test its sound in DVD playback. The PowerDVD 3.0 supplied together with the Prodigy192 easily recognized the card and took all of 6 channels for normal 5.1 sound. The DVD in implementation of the Prodigy192 sounded very brightly at the expense of sharp highs and a good dynamic range. The card will be a good choice for watching DVDs. The engineers of Audiotrak made an excellent product with just one problem: they used an inexpansive codec. The Sigmatel ST9460 turned the card with professional capabilities at $150 into a multimedia one. If the card had normal converters it could be called a professional solution as it has everything necessary for applications of sound recording and processing: very low latency, a low CPU load and a stable operation of the drivers in all Windows OS version. One more odd thing is that it's impossible to work in non-ASIO applications in the 24bit/192kHz mode for the sake of which the Prodigy192 comes with the latest controller from IC Ensemble. And even when the corrected drivers will arrive it won't make sense to buy the card only for its 192kHz mode as DVD-Audio media which are recorded at this sampling frequency are supported by none of software DVD players. the drivers do not allow using 192kHz in MME applications yet.